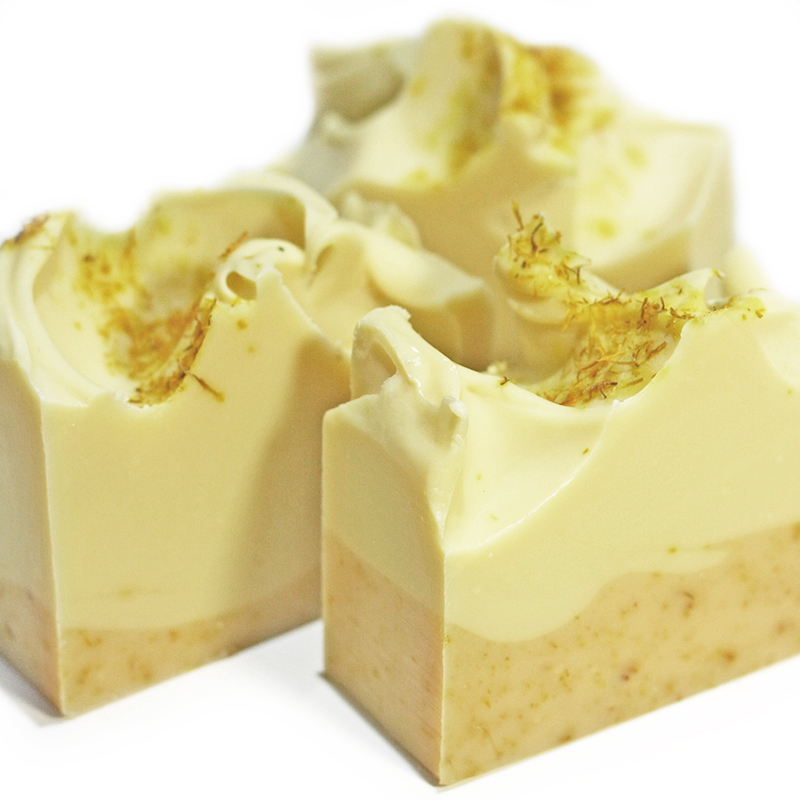 This blend is laden with sweet lemon myrtle essential oil, it's naturally uplifting, sweet citrus notes blended with the scent of classic lavender, and finished with an infusion of herbal calendula petals. Ingredients: Saponified coconut oil, rice bran oil, olive oil (australian) and certified organic shea butter, lemon myrtle and lavender essential oils, calendula petals. 125-135g.